CoreTech System Co., Ltd. provides computer-aided engineering (CAE) simulation software for the plastic injection molding industry since 1995. Its current product, Moldex3D, is a suite of three-dimensional (3D) solutions marketed to manufacturers and industrial designers worldwide. CoreTech System is headquartered in Taiwan, and the company has branch offices in China, the United States, and Thailand. CoreTech System has over 200 employees, and collaborates with more than 170 resellers all over 46 countries of the world. 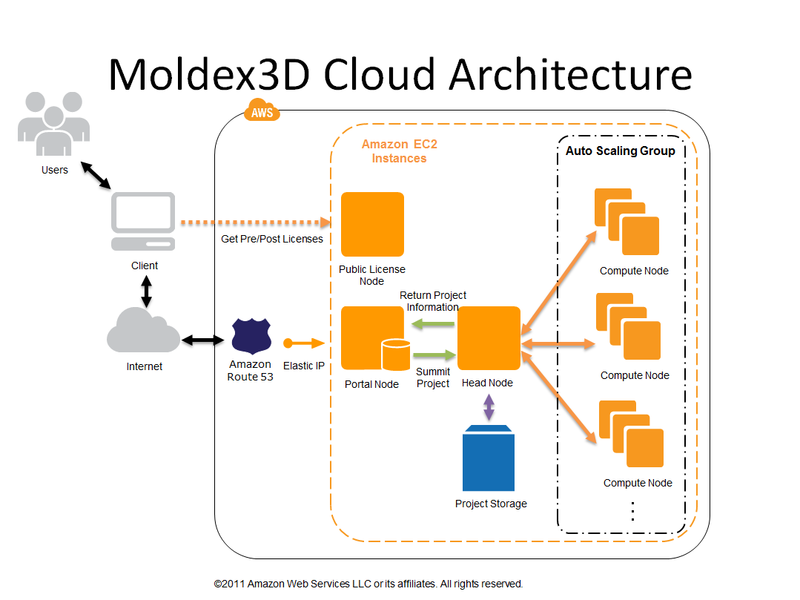 It took CoreTech System almost a year to redesign and optimize Moldex3D for a cloud environment. CoreTech uses Linux CentOS (Community Enterprise Operating System), Microsoft Windows Server 2008, and Apache to run Moldex3D services on the AWS Cloud. Amazon EC2 instances with Amazon Elastic Block Store (Amazon EBS) provide the storage capacity that CoreTech needs for data-intensive simulations. CoreTech uses an AWS API to launch several cluster instances simultaneously and then suspend them until needed. The system spontaneously launches new instances as the number of jobs increase. Once the job is complete, the instance stops automatically. Running on AWS, CoreTech can complete a standard test model within an hour with eight cores of CPU power. Figure 1 demonstrates CoreTech System’s cloud architecture on AWS. To learn more about how AWS can help your high performance computing needs, visit our HPC details page: http://aws.amazon.com/hpc-applications/.